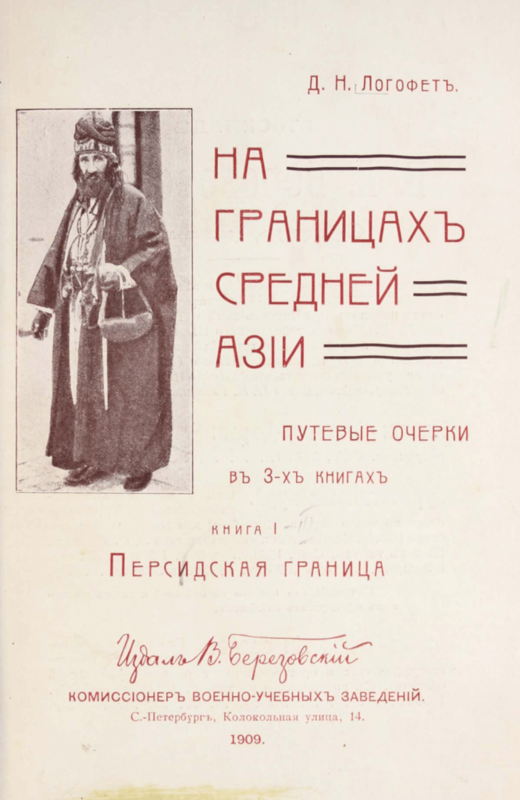 This map of the Transcaspian region can be found in an appendix to На границахь Средней Азии [On the borders of Central Asia] written by D. N. Logofet and published in 1909. The Transcaspian railway is marked out, running westward from Krasnovodsk (today’s Türkmenbasy) on the coast of the Caspian Sea to Ashgabat, Merv and Bala Murgabi. South of the railway one finds the Persian cities of Shirvan, Quchan and Mashhad. A great number of towns and villages along the railway are noted. 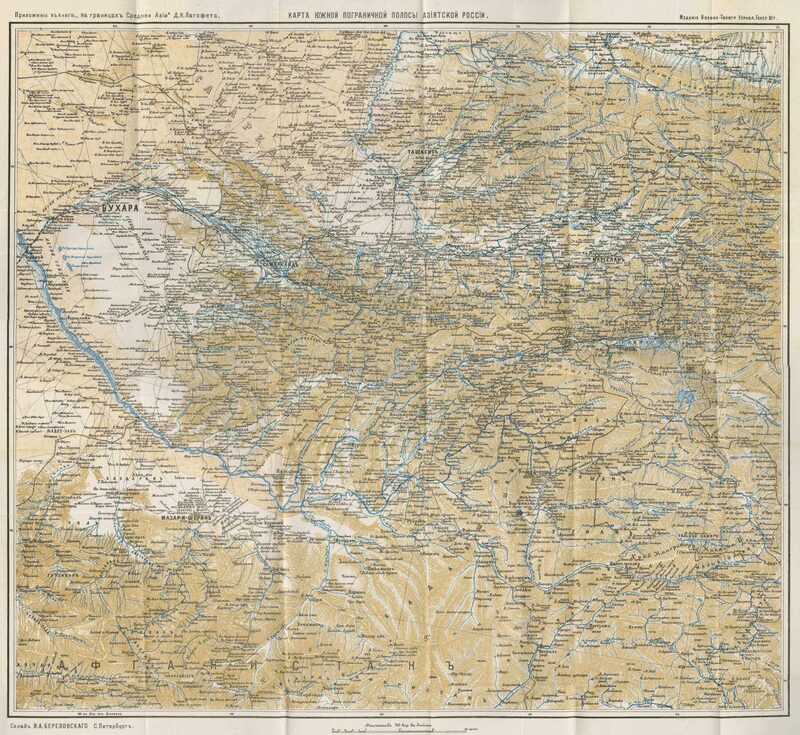 Another detailed map from the same book shows the southern border area of Russian Turkestan.